Hi, Fiona! My name is Lynne Cantwell. I’ll be hitting the big 6-0 in few months. I grew up in Indiana, in a small city on the shores of Lake Michigan, but I’ve been living in Virginia for, uh, a really long time. Decades. Longer than I lived in Indiana. Currently, I live in Arlington, Virginia, which is just outside of Washington, DC. But I’d like to be from Colorado. I have a journalism degree from Indiana University, a master’s degree in fiction writing from Johns Hopkins University, and a paralegal certificate. My two adult daughters are both living with me right now. My grandkitties, Mr. Wommy and the Lady Morgana, also live with us. I’m presently working on the first draft of Maggie in Moonlight, the third and final book of my Transcendence trilogy, and am aiming to publish it before the end of the year. 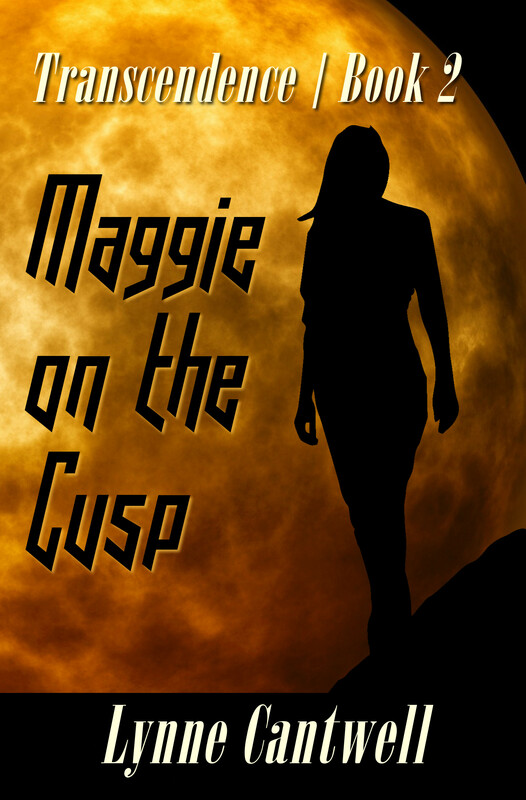 The first two books, Maggie in the Dark and Maggie on the Cusp, are already available. 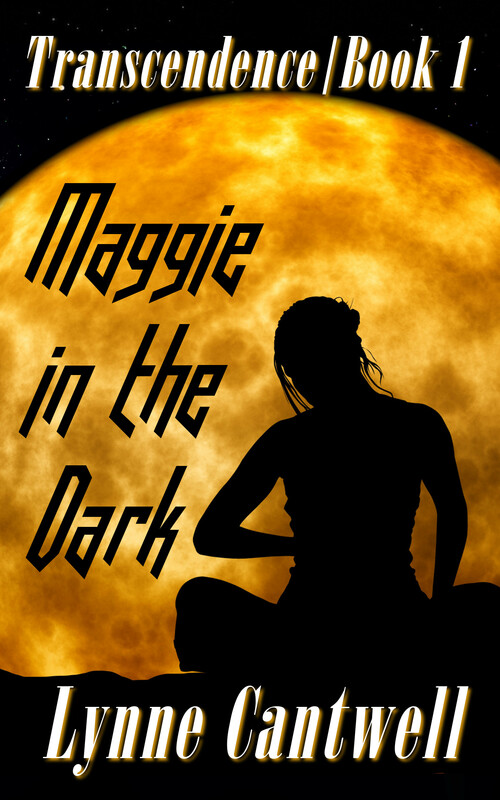 Maggie’s the main character in all three novels. She’s in her late 50s and hasn’t lived an examined life up to now – but magical events conspire to make her realize that she needs to pull her life together and set some things right, so she can get on with her ultimate task of renewing the Earth. So here’s the story: When I was about seven years old, the kid who sat in front of me in school brought in a book he’d written himself. I looked at it and thought, “I could do that.” So I did. Mine was called Susie and the Talking Doll. It was terrible. But that was my first book. I don’t know that it was a conscious decision. I was so young when I started writing that it was always part of what defined me, like having brown hair. Let’s fast-forward a bit to my first published novel, The Maidens’ War. I got interested in mythology as part of a search for my roots. I’m half Czech, and I ran across this Czech legend called “The Maidens’ War.” At the end of the story, the main character – a warrior maiden named Šarka – disappears into a mountain, to reappear when she’s most needed. I knew I needed to write about what would draw her out – and I decided a traumatized young woman in West Virginia might do it. Half the book recounts the events that sent Šarka into the mountain and the other half is about why the modern-day woman needs her help. I cheated – I used the title of the legend. I find it hard to categorize what I’m writing lately. 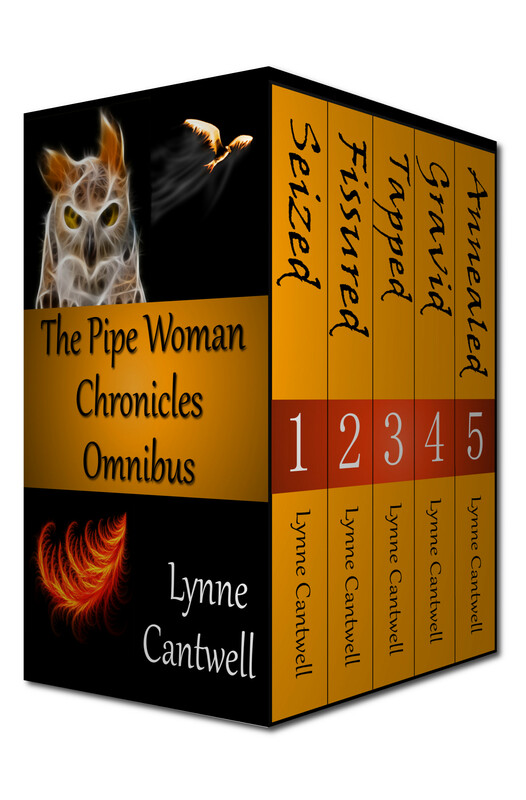 The 12 novels in my Pipe Woman Chronicles universe are clearly urban fantasy, but Transcendence isn’t so clear-cut. I even asked my street team for help. The best answer I got was that this new series is sort of a cross between Louise Erdrich and Barbara Kingsolver – so I’m going with that for now. For Transcendence, Maggie is about my age, and the family structure in Maggie on the Cusp is similar to the one I grew up in. But I think in general, writers are sponges – we soak up everything we see around us, and recombine our experiences and impressions so we can tell a deeper truth on the page. And hopefully change enough identifying details so that we won’t get sued. Wouldn’t it be nice to have to travel for inspiration? No, usually I draw on memories of places I’ve lived or visited. Although the idea for the Transcendence trilogy came from a serendipitous visit to the Newark Earthworks in Heath, Ohio. The Great Circle is a massive, circular earthen wall that was built sometime between 100 and 500 A.D. It’s been nominated as a UNESCO World Heritage Site. I do, for good or ill.
Every book is different, of course. With Maggie’s story, though, I think the underlying message is that you can do big things by doing small things – and getting your own house in order is a big help. My all-time favorite writer is Stephen R. Donaldson, who wrote the Chronicles of Thomas Covenant the Unbeliever. His main character is the ultimate anti-hero, and yet you end up rooting for him. Plus I love the Land, the otherworld where the series is set. In addition to Donaldson, my list of favorite authors is long, with Kent Haruf, Graham Joyce, Patricia McKilllip, and Barbara Kingsolver near the top. I’m also a big fan of several indie authors: Laurie Boris, Chris James, and A.C. Flory in particular. And Hugh Howey, who I guess is more of a hybrid author these days. I have to give a shout-out to Joy Calderwood at Calderwood Books. 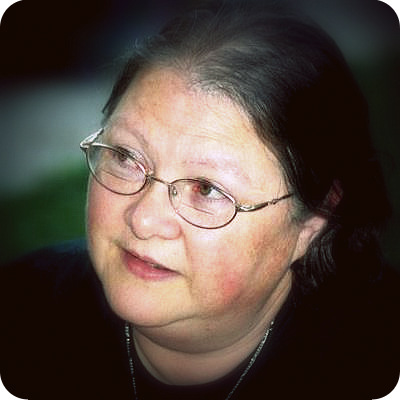 She actually asked me whether she could publish a couple of my short stories when she was just starting her business. So when I finished The Maindens’ War, of course I sent it to her. Oh, absolutely. I made my living as a journalist for twenty years. I’d love to do that again with my fiction. Well, I’m only halfway through the first draft, so… But for Maggie on the Cusp? I don’t know. That was a tough one to write. I think I’ll need to get more distance from it before I can say whether I should have done anything differently. It seems like I can’t stop myself from learning new stuff for each book I write. In Maggie in Moonlight, our heroine is hitting the road in a used RV, and there’s been some discussion about driving it to Mexico City. So I’m getting a crash course in Mexico – everything from Pre-Columbian culture to State Department travel warnings. I’m never any good at this game. Julianne Moore could play Maggie, maybe. Or Susan Sarandon. My standard advice is to apply the seat of your pants to the seat of your chair and write. I have a master’s degree in fiction writing, but you don’t need one to learn how to write – there’s a ton of advice out there, most of it for free. But practice is the thing that’s going to make you better. The Girl with Stars in Her Hair by Alexes Razevich. She’s another of my favorite authors. Her sci-fi novel Khe knocked my socks off. The first book I thought of as my favorite was Heidi by Johanna Spyri. Mr. Wommy and the Lady Morgana are an endless source of entertainment. Who needs TV when you’ve got cats? I think it would be fascinating to go back in time and see the folks who built ancient structures like the Newark Earthworks and Stonehenge and the like. Talk about getting your questions answered! When I’m not working on a book, I knit. I also like to read, of course. My taste in movies is eclectic. I’m not a fan of movies where the point is for stuff to blow up real good, but I’ve been enjoying the Marvel movies. I saw Guardians of the Galaxy Vol. 2 recently and loved it. But I also loved Wind River, which is just about as far from a comic-book movie as you can get. I love Mexican food – that’s probably my favorite kind. My favorite color is blue. My musical taste seems to have gotten stuck in the ‘60s and ‘70s, but I also enjoy listening to Irish trad. You asked earlier what would make me cry. This might do it. You bet! I blog every Sunday night at www.hearth-myth.com. I also write a post every month for Indies Unlimited (www.indiesunlimited.com).